The morning begins with three missed calls and an email from our son. He calls from the other side of the world while he floats out at sea. Opportunities for him to call home are few and far between. I could tell from his email that he misses home. We are missing him too. I respond with what may be my longest email to him so far. 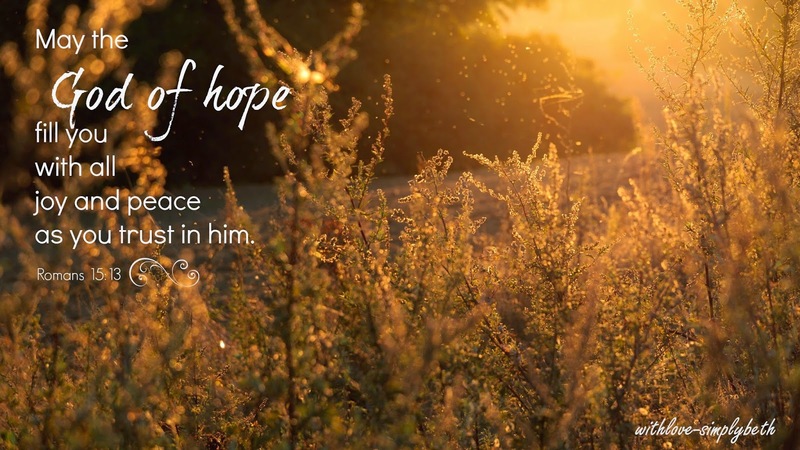 Because my heart longs for him to know God, I end the email with the verse from Romans 15:13 "May the God of hope fill you with all joy and peace in believing, so that by the power of the Holy Spirit you may abound in hope." After pressing send I crawl back into bed next to my husband with tears in my eyes. He wraps his arms around me and we lie there for the next thirty minutes holding each other. There are still tears as we lie there for how much I miss our son and for how happy I am to have my husband home. We let go of one another but we are not quite ready to leave the bed. Instead, we scan the TV stations for something to watch. Taking the day slow sounds like a wonderful idea. We land on “Cheaper by the Dozen.” Tears find their way to my eyes again. This missing stuff doesn't get easier. I open up my computer and log on to Pinterest and start searching Christmas decorating ideas. Of course the pictures are all shiny and perfect. Nothing I could do would ever compare. With “Cheaper by the Dozen” finally over and tears semi dried up, yet I know full well it wouldn't take much for them to fall again, I decide to join hubs for a morning workout confident it will lift my spirits. 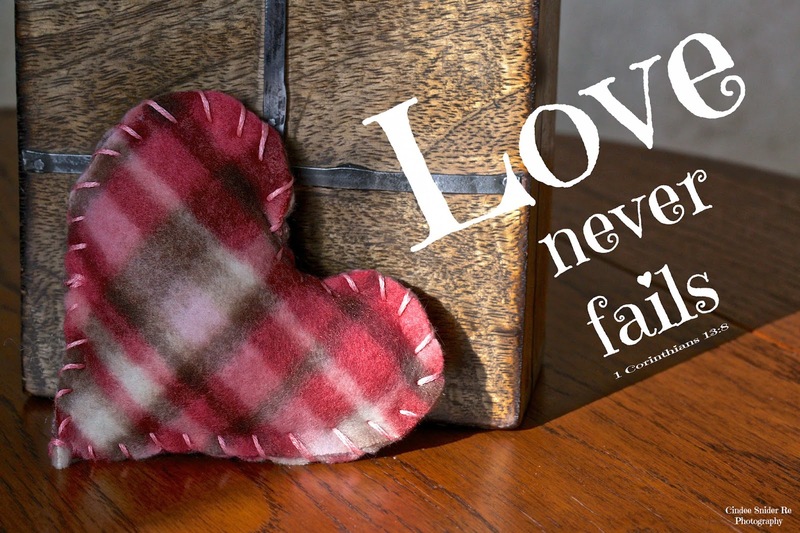 I open up the audio version of Bob Goff’s book Love Does next. I’m now on a treadmill as I listen along. I hit the pause button after Chapter 3 because this time around I want my husband to follow along too. I scan through my library of eBook’s. A while back I started Cold Tangerines by Shauna Niequist so I decided to carry on where I left off. Shauna’s words remind me of our Christmas tree; the one I told my husband was small and lopsided. I did not get far in the book before my phone rang. My cup runneth over. God is good, ALWAYS. He tells me that he started reading Love Does again. I sent the book to him in a care package early on in his deployment. “The Jesus stuff is hard to read but it’s funny,” he says. Maybe it’s wishful thinking but I imagine Bob Goff’s words leading my son closer to Jesus. Always have hope, I say to myself. Hubs and I return home. I look up at those gorgeous eyes of his to inform him how wrong I am about our tree. Our tree is enough because it’s ours. Present over perfect . . . that is my wish for this Christmas season. What is your wish for this Christmas season? It has been two years since we gathered around a table together for Thanksgiving. It has been two years since the Thanksgiving in Washington, D.C. when we gathered around our son’s table with his wife and a handful of sailors. It was as close to perfect as you can get this side of heaven. We are missing family members at our table again this year. Thanksgiving has always been my favorite holiday. Gathering around the table with loved ones giving thanks for His many blessings, makes my heart sing and dance. But I thank God for another day of being able to say, "It is well with my soul." Even though we are not together, God keeps watch over my family both near and far. It is well. After spending almost a year without my husband, too many holidays without him by my side, my gratitude runs deeper. The song, 10,000 Reasons (Bless the Lord), by Matt Maher, rings truer: "For all his goodness I will keep on singing." The past twelve months were challenging ones. There were moments when I wanted to call it quits. There were moments when I pleaded to God, "Enough already. I'm not capable. Give the job to someone else." Sounds a bit like Moses, does it not? We have the privilege of knowing how the story goes. He was born in a manger, ministered to the lost, persecuted for His faith, died on the cross for our sins and then rose again. No longer must we sacrifice animals as burnt offerings for forgiveness of our sins. We are forgiven. It is finished (John 19:30). The story He writes for us ends well. It ends with eternal life with Him. So really, it never ends. Join me over at Outside the City Gate for the rest of the story. Often I choose not to do something because many others are. I want to make decisions based on God’s leading. However, I have come to realize I can use that as an excuse for not taking action. One of the “things” I have not done simply because many others are . 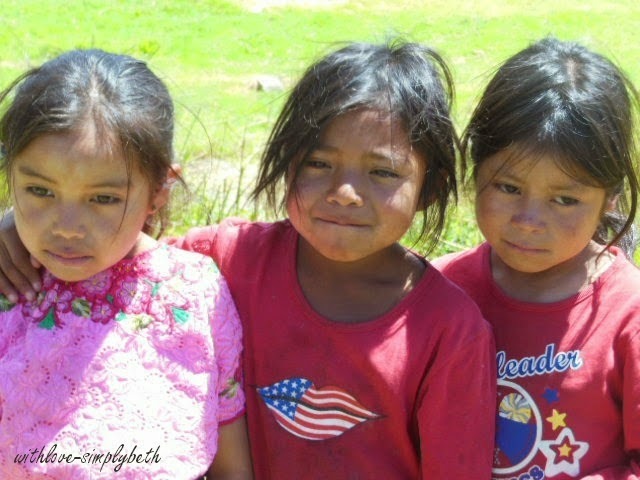 . . sponsor a child through Compassion International. As the evening drew to an end I looked at a friend and said, “I am tired of doing nothing.” I say I need to pray and wait on God to lead. Maybe God is waiting for me to just do something. So I did something. 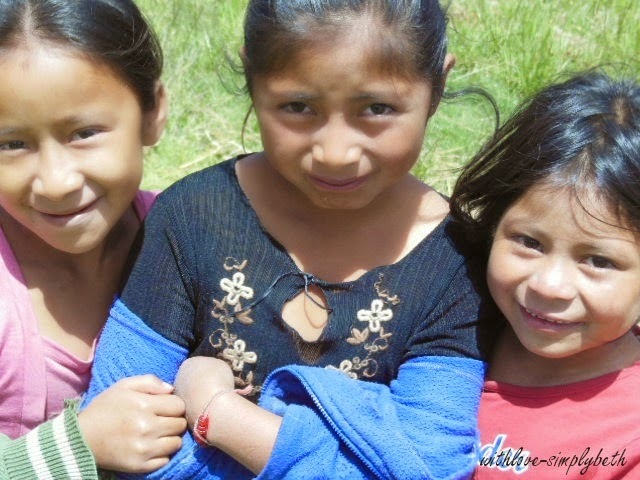 I sponsored my first child through Compassion. Her name is Jacqueline. She lives in Mexico and will be nine years old in October. The moment I held a picture of her in my hands I felt God smiling over me. This was my something I needed to do. I shared the first part of this post on my blog after returning home from Declare. 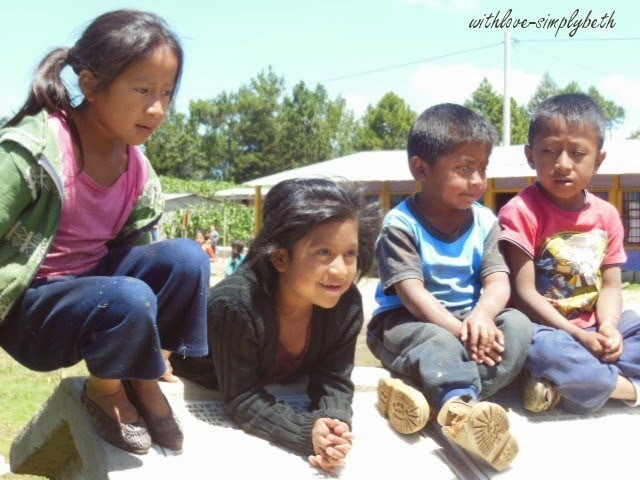 When Jennifer asked me to share my story of sponsoring a child through Compassion I knew I needed to share the same story. But I also felt compelled to share where my heart resides currently. Jacqueline received her first letter from us and we received one from her. Her October birthday came and went. I failed to send her anything. When I make a decision to do anything, especially if the decision is God led, I believe on being ALL IN. So where does my heart reside with Jacqueline? The money sent every month to Jacqueline makes an impact on her life. At the same time, my lack of being ALL IN has me conversing with God on whether or not this was my something. And if this is not my something, I am asking Him to help me be ALL IN anyways. It’s not about me; it’s about Jacqueline and bringing glory to God by serving His children. Can I share a missed dream with you? I am sharing with the lovely Jennifer Jackson Linck today. You can read the rest of my story here. I planned a getaway for us while my husband’s boots still stood on foreign soil; on enemy soil. After some research, I discovered the American Club in Kohler, Wisconsin offered fifty percent off their room rates for Veterans over the Veterans Day holiday. The American Club happens to be where we spent our honeymoon twenty-four years ago. Something seemed so right about going back to where our journey began. On the way to our destination, we stopped for lunch at this cute fish restaurant which sat along Lake Michigan in Port Washington, Wisconsin. Our conversation over lunch consisted of reminiscing and also sharing our hopes and dreams for the future. We talked about simple things too, like the list of 31 FREE Things To Do With Your Spouse For Fun found on Tricia Goyer’s blog. We have plans to conquer all 31 things. I lost track early on of how many times I told him, I love you, Dear. We laughed over how little we remembered of our time in Kohler twenty-four years ago. We were twenty-one years old at the time. For the most part, all we remember is how anxious we were to return home to our four-month old son. Neither of us felt anxious to return home this time around. With our four days away now behind us, I can also say I don’t expect either of us to have difficulty remembering this trip. Does the name Kohler ring any bells? Think lovely kitchens and bathrooms. The loveliest ones you can imagine most likely include Kohler products. All sleeping rooms at the American Club, a five-star resort, include fancy sinks, showers and tubs. It’s glorious! Kohler, Wisconsin is a quaint and lovely town in and of itself. When the bathtub in your room includes a blissful water experience via KOHLER Hydrotherapy (i.e. glorious whirlpool) it must be utilized. Yes, I am going there with this post. Our first night ended with the two of us naked in that tub. But with all seriousness, it has nothing to do with the point of this post. I had a rather messy moment in that bathtub but it ended with sheer beauty. God has this way of taking our messes and making them beautiful. I could claim I panicked due to an unusual fear of water. More than likely it had much more to do with intense body image issues which have contributed to years of struggling with intimacy. It did not take long for me to want out of our glorious tub. Instead, my husband turned me around so my back would face him. He took a sponge and began to gently scrub my back to calm my nerves and elevate those all too familiar insecurities. I thanked him for how he loves me. I thanked him for his kindness and patience. His response, “I wasn’t always this way, Beth. I was not kind. I was not patient.” With my back toward my husband, tears rolled down my cheeks. At the same time though, the nerves and insecurities were no longer present. They vanished as quickly as they started. Remember how I said God takes the messy and makes something beautiful? The messy stuff is part of the story He writes. If we took away all the messy parts of our journey, would we see the depth of beauty God has created in our marriage? Without the messy parts would we have learned what it means to love one another? If we took away all the messy parts would we have realized our need for God? Marriage is hard. It's messy. It never stops being hard and messy. Give me both though. I would not change one single scene of the story God has written for us and I trust Him with the story He continues to write. Maybe you are still wondering what message I am trying to leave with you. Maybe it’s a message for those couples who are knee deep in mess. And my message for you is . . . Do not lose hope. Do not give up. Trust in God. Let Him help you write a better story. He will take all the messy stuff and create something more beautiful than you could ever imagine. I believe the more deep the mess the more beautiful He’s able to create. Can you believe it has been almost two years since Three Word Wednesday came to be? Do you remember how it started? I set out to create a theme for connecting each day of the week on my blog Facebook page. When I could not come up with a theme for Wednesday’s a navy mom friend suggested Three Word Wednesday. I decided to take her suggestion. Every Wednesday I would share a status update with three words on my heart. Then you would join in by sharing three words on your heart. That was all. Easy-peasy. 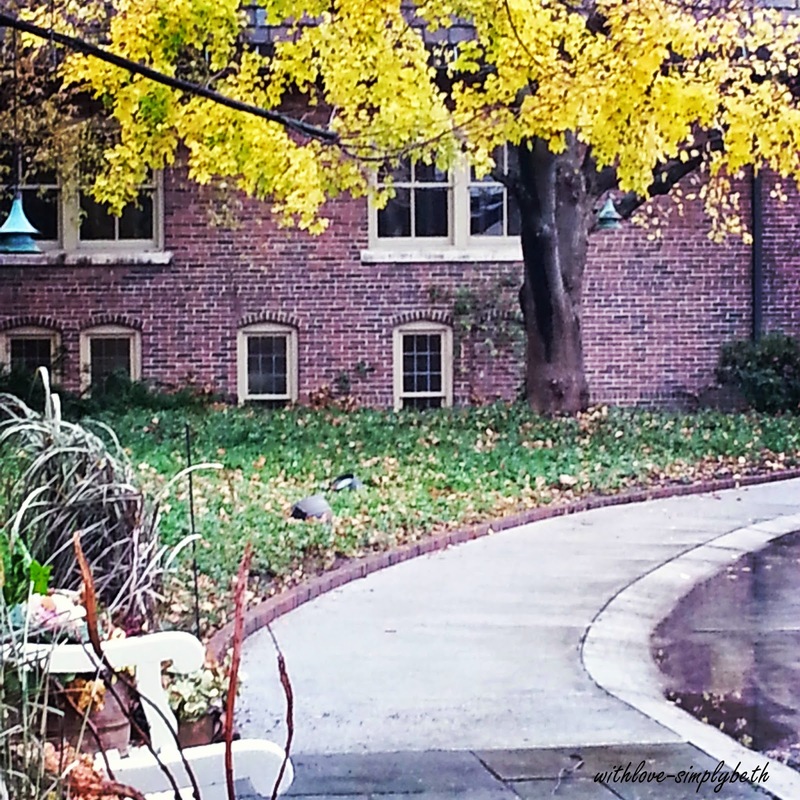 Sometime after, a few writing friends suggested I start a Three Word Wednesday link-up on my blog. The first link-up went live in August 2013. Oh, what joy the community has brought to my life. God used the link-up as one way to encourage my heart during my husband’s deployment. Gratitude fills my heart when I think of those of you who have been a part of the community – a part of THIS community. It's time for Three Word Wednesday to have a new home though, and a fabulous new button. Don't fret. Three Word Wednesday has a lovely new home. Kristin, a dear friend and one of the writing friends who suggested I start the link-up, is excited to welcome you. Kristin introduced herself here last week and she will kick things off at her newly designed home next week. Why the change? 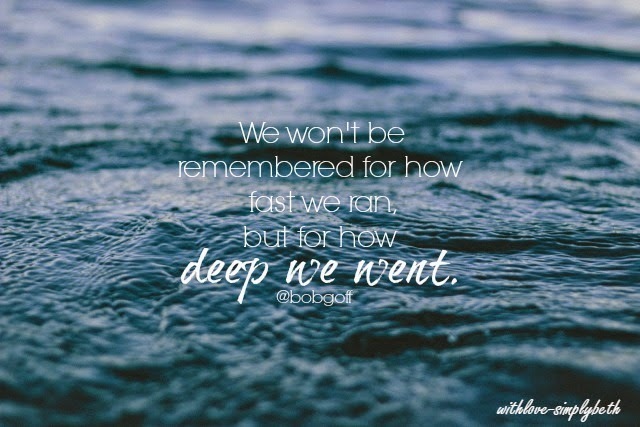 Day 9 of my #write31days series actually touched on this some. I'm also going to share a few words from others as they too explain my why. I do not want my writing to ever feel forced and I want need deeper connections. So I am letting go of any preconceived notion that I need to be perfect first for you to like me. Instead, I am taking steps outside of my comfort zone to make time for deeper connections. This includes friends from this crazy, yet beautiful, social media world. My heart’s desire is to connect with you beyond our blogs. I want to chat on the phone with you. I want to see your lovely faces (we can give Google Hangout or Skype a try). I really want you to come to Chicago but I might have more luck tempting you after the winter months. If you followed along for my #write31days series you will understand when I say this decision all relates to God becoming greater in my life and in the life of my marriage. And God has been pretty clear lately on where my priorities need to be. I’m not going away. God still calls me to create and connect here too. It will just need to wait for when He is ready for me to create and share something. You will find me hanging out every day here, here and here. 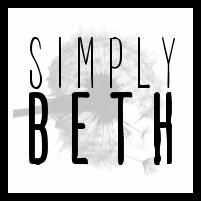 If you do not use social media, email me at simplybeth3(at)gmail(dot)com. I considered the Bob Goff approach of giving you my cell phone number at the end of this post but . . . yeah not quite ready for that. I know you are going to love Kristin. Please, don’t miss out on the chance to get to know her. 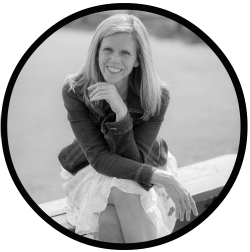 Join her next Wednesday as she hosts her first link-up. First, I am hoping you will gather one last time with me here.